Ar.Pe.Pe were one of the first producers we started working with and they have proven to be one of our most popular. Like us, wine lovers in the UK have fallen in love with this staunchly traditional producer of mountain Nebbiolo and their delicate, beautiful expressions of Valtellina’s alpine terroir. It is with great pleasure that we welcome back Isabella Pelizzatti Perego to London for the third consecutive year to share the story of her family, their wines and the mountainous vineyards of their native Valtellina. The transparency of the grape, the singular landscape and the Perego’s respect for them lend these wines a remarkable sense of place and always, they are best enjoyed in the company of the grower. We hope you can join us at one of the following events. At her first event in London, Isabella will be providing a masterclass on Valtellina and it’s crus through a horizontal tasting of each of their ‘grand riserva’ wines from the wonderful 2005 vintage. Each of these historic wines will be poured from magnum, offering a rare chance to taste properly-aged, mature Nebbiolo from one of the great producers of the grape. Guests will also enjoy a glass of Rosso di Valtellina on arrival, Carne Salata and Bresaola from Valtellina artisan Mario Cardinale Bosio and a glass of the family’s stunning, late-harvest sforzato ‘Ultimi Raggi’ to finish with some cheese. Tickets are £30 and can be purchased online. We will be pouring the following wines. On the Monday, for one night we will be taking over the bar at Sager + Wilde, delving deep into the family’s cellar to share rare bottles, large formats and older vintages. In some cases, Isabella was only able to take just a bottle or two, meaning this will be the only chance you will get to try some of these wines and with everything available by-the-glass, a great opportunity to try some things that may otherwise be out of reach. Isabella will be on hand to guide you through each glass, share stories from the vintages and answer any questions you might have. 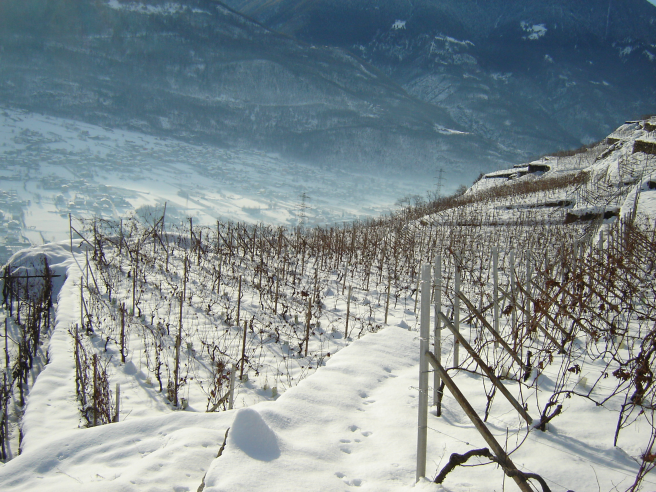 Sassella is the most extreme of Valtellina’s crus, the part of the valley where the terraces are at their steepest and shallowest. This hill produces the most tense, elegant wines in the region, which to us it are the essence of Valtellina. They are wines that positively scream of where they are from and have a natural affinity with good food.